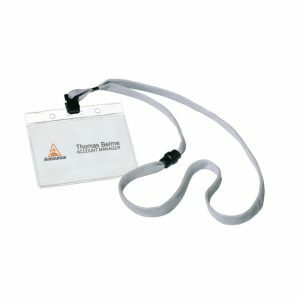 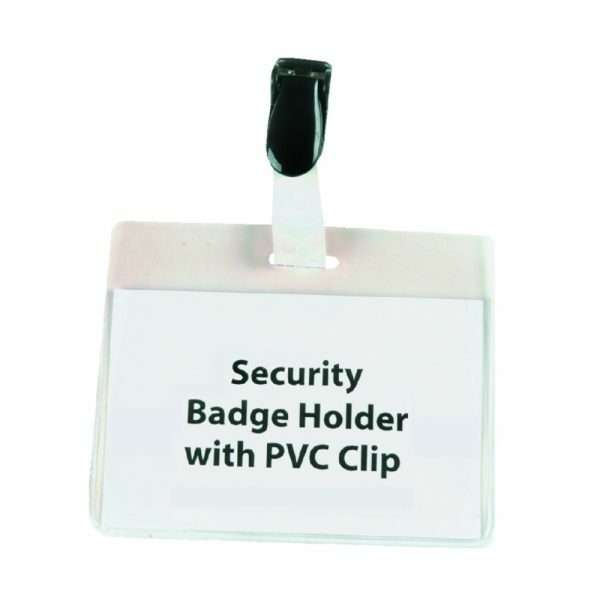 These transparent security name badges are durable enough to withstand everyday use. 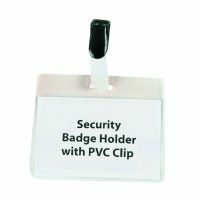 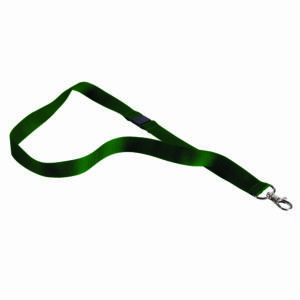 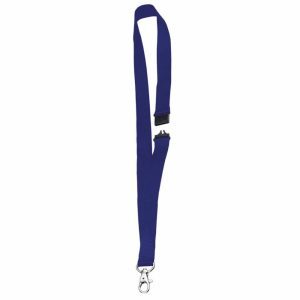 Supplied with straps and PVC clips, they are easy to attach to clothing. 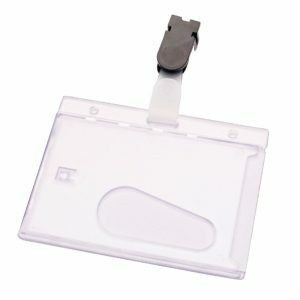 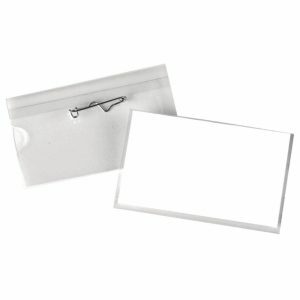 The supplied insert cards are simple to load into the badges and the pocket is secured by the closing clip. 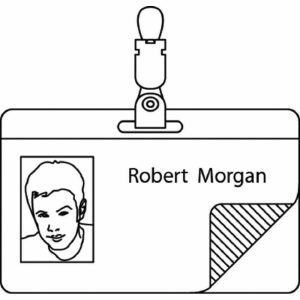 Presented in landscape format.